I'm wanting to paint bathroom counter tops. I don't own the home there for I don't want to spend to much. What materials would be best for this project? I&#39;m wanting to paint bathroom counter tops. I don&#39;t own the home there for I don&#39;t want to spend to much. What materials would be best for this project? Hello JAvila and welcome to the Community. 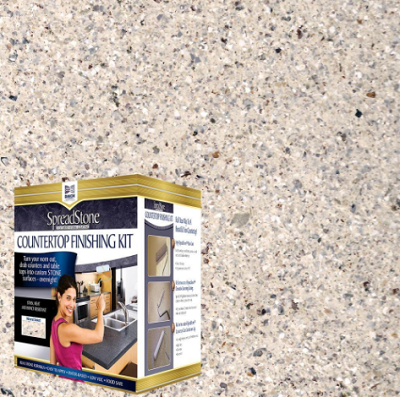 Here is a LINK to Home Depot selection of counter top paint kits. 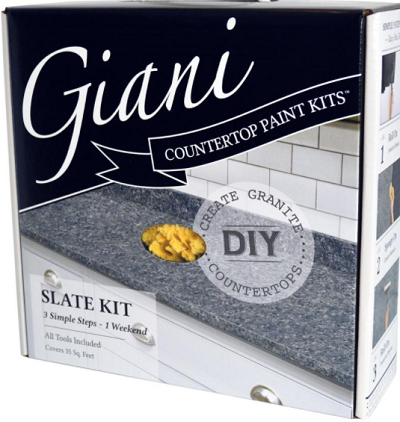 With the Giani Granite counter top paint kit, the easy 3 step paint process goes right over old laminate, cultured marble and ceramic tile countertops. The Daich kits are suitable for direct application to laminates and wood, including plywood, MDF, and particleboard. Rustoleum also makes a a counter top paint. Personally, I think that painting countertops is generally a bad idea. Paint just isn't right for the job or maybe more accurately the types of paints available to the average consumer are right for the job. That's why you don't see a lot of stores selling painted countertops. If you are in a rental and the bathroom counters really bother you, maybe talk to your landlord about kicking in some towards the new countertop. The paint kid that Charlotte referenced goes for about $80. Off to kick in that $80. An off the shelf, 48" vanity top is only about $225. If you do decide to paint, read the instructions, then read them again. Read them for a third time and then follow them exactly.